The first batch of Rover 2000 engines were produced in 1959 less than a year before the first 3½ litre V8’s, so both are very old engine designs. This has consequences when considering what lubricating oil to use. Both engines have an old design of profile for the cam and cam followers and so are known as “flat tappet” engines. To look after this type of engine, contemporary engine oils had a chemical additive known as ZDDP – or to give it its full name - Zincdialkyldithiophosphate. Modern oils no longer carry this additive – even oils like Castrol GTX which were once wholly suitable. V8 owners will already be aware how vulnerable that engine is to cam lobes rounding off, although the 4 cylinder appears more robust. So the first requirement in looking for an oil to use in your P6 is to find out what oils include ZDDP. Surprisingly, many oils advertised as “Classic” oils don’t. Nor is it often easy to find out whether it is present. You are likely to need to interrogate the oil company’s web site and find the oil’s product data sheets. A suitable oil would be expected to be listed with a zinc level of greater than 1% or 1000ppm and a phosphorous level greater than 0.7% or 700ppm. The oils recommended in the manufacturer’s instruction manuals along with the recommended oil change intervals are long since out of date. In the case of the V8 there is no debate today, all the best V8 engine builders agree that it’s 3,000 miles with a fully mineral (ie not synthetic), low detergent, 20W-50 - unless you live or drive somewhere quite exceptional like Iceland. Note that later Land Rover V8’s are quite different in that they have a much higher operating temperature along with the later front end design with crank driven oil pump, so recommendations for them are not relevant to our cars. We are satisfied that the same recommendations apply to the 4 cylinder engines too, although there isn’t the same volume of experience to draw on. About the only waiver to this for engines with proven good oil pressure would be to use a 15W-50 oil in winter for easier starting. So let’s look at what is available that meets the requirement for ZDDP, is a mineral 20W/50 and has minimal detergent – and what doesn’t. Of the more surprising fails are the Castrol, Comma and Halfords Classic oils. This isn’t an exhaustive list – assess your favoured oil against the criteria above and make your own choice accordingly. The V8 is a notoriously “dirty” engine. That is to say, there is a large amount of blow by of combustion gasses and / or inadequate crankcase venting. What this means is that when you take off the rocker covers you are likely to be faced by deposits of hard black coke where you would have liked to have seen only a clean oily film and shiny metal. Don’t try to clean it off! It isn’t doing any harm where you can see it. If odd fragments were to get dislodged they are likely to be carried by the oil to somewhere much more harmful – the insides of the bearings. Or even worse, to block the very small oil passages from the cylinder heads up to the rocker gear. So no flushing oils, no manual scraping and no oils with a high detergent content please. The time to sort this out is when you have an engine component off, eg a cylinder head, when you can go and get the whole item chemically dip cleaned. Oil filters should always be changed at the same time as the oil. The old fashioned recommendation of a filter change free intermediate oil change was designed to cut owners operating costs – not to look after the engine! 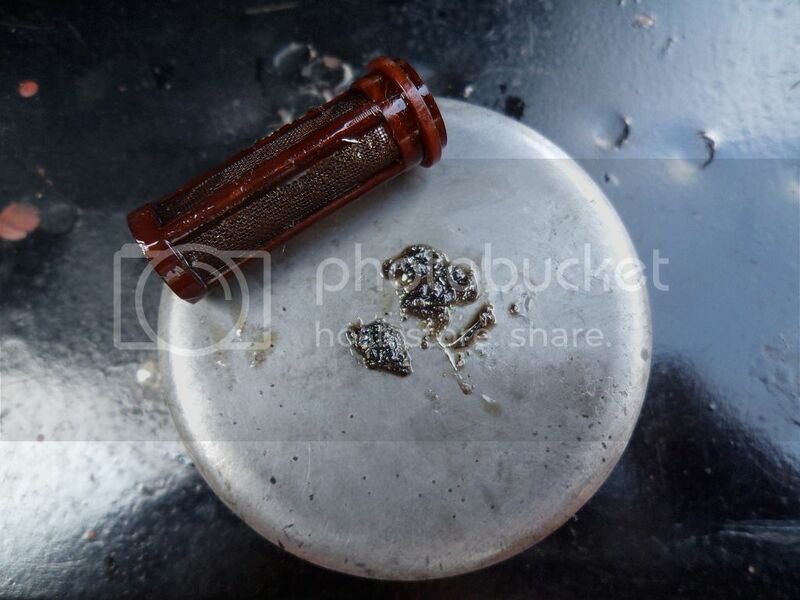 The point of the filter is to try to avoid small fragments of carbon or coke reaching the bearings and pistons. Normal filters manage only down to around 30 micron particle capture. For the V8 it is now possible to buy much higher quality filters. For those with the P5/P6 size spigot the correct filter is the K&N HP-2003, those who have the later small spigot SD1 type pump cover the appropriate filter is the V8F 8990 from V8 Filters. The latter works down to 12 micron, the K&N to sub 10 microns. These are well worth the extra cost in the long term. There doesn’t seem to be anything like this around for the 4 cylinder as yet so keep the filter change and oil change interval to that 3,000miles. Another way to help minimise coke build up is to make sure the engine breathers are serviced at the same time as the oil and filter. Those on the 4 cylinder cars are fairly obvious, on the V8 few people realise how important the flame traps are on the tops of the rocker covers. These need to be blocked by gauze, but yet clean enough to be blown through. Fully open or fully blocked will both worsen the coking problem and also upset the tune of the carbs. There’s another breather from the crankcase at the back of the engine on the V8 which looks like a fuel filter. On the 4 cylinder there is yet another filter. Under the large nut on the boss at the front of the head (pictured) is a small nylon strainer. This lives in the oil feed to the cam chain tensioner. It can often be the cause of rattly cam chains! The V8 is famous for tolerating very low oil pressures, although it would be nice to see a hot idle pressure of 30 psi. 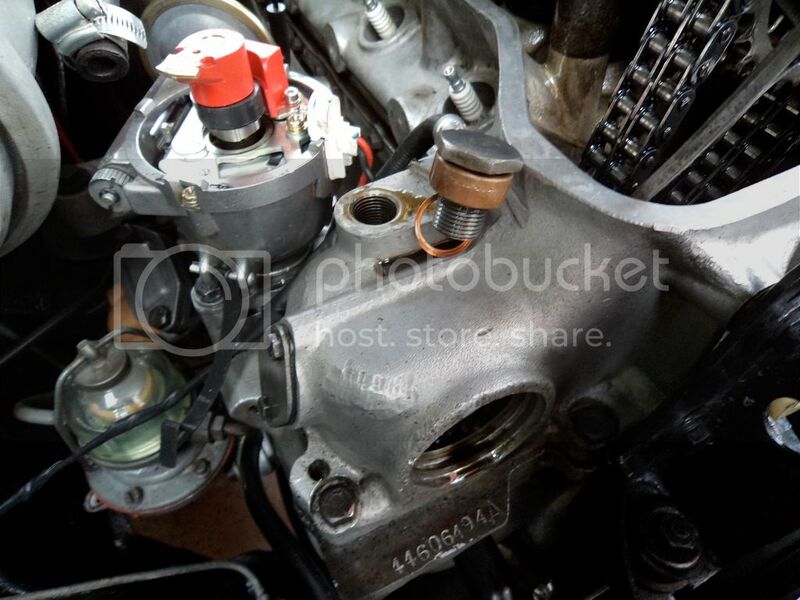 However, the 4 cylinder is much less tolerant and a hot idle pressure of less than around 50 psi indicates a need some unexpected routine maintenance – changing the main and big end bearing shells. This operation is likely to be required at around 50 to 60,000 mile intervals, and if carried out at this interval there should be no need for a crank grind and the entire job can be done in situ in the car with only the sump needing to be removed for access. Changing the engine bearings on the 4 cylinder is a straight forward DIY job taking between a competent familiar ½ day to a careful full day. With the sort of attention described above, engine life can be dramatically improved and tired engines can be persuaded to soldier on. So that way we can enjoy driving our P6s instead of rebuilding them. Oil recommendations were correct in June 2012 at the time of publication in Driving Force magazine.